Brazilian author Paulo Coelho’s allegorical novel of a Spanish shepherd has inspired millions of readers to set out searching for their own personal treasures. Here are a few things you may not know about the literary blockbuster. 1. COELHO ONLY NEEDED TWO WEEKS TO WRITE THE NOVEL. 2. IT WAS NOT AN INSTANT SUCCESS. The writing may have been fast, but success came very slowly. The book’s journey to becoming a commercial juggernaut almost reads like its own Coelho story. When a small Brazilian publisher took a chance on The Alchemist in 1988, it hedged its bets by only printing 900 copies in Portuguese. Coelho later wrote that his publisher told him, “This title will never sell more than 900 copies.” After that tiny first run, the book went out of print, and Coelho got to keep the rights to the novel. 3. COELHO KEPT THE FAITH. 4. A SECOND BRAZILIAN PUBLISHER GAVE COELHO ANOTHER SHOT. As Coelho would later write, the fate of the book proved the book’s recurring theme of “when you want something, the whole universe conspires to help you.” Another local publishing house agreed to back the book. The second publishing run fared better than the first, and eventually thousands of copies were flying off the shelves. 5. BUT THE ENGLISH TRANSLATION WAS THE HUGE BREAK HE NEEDED. 6. COELHO TOOK A LOCAL APPROACH TO THESE TRANSLATIONS. Even as The Alchemist became an international success, Coelho ensured that each new translation had local flavor. He worked with a local publisher in each new market and helped set cover prices that would make it possible for a wide audience to afford the book. 7. HE ALSO HIT THE ROAD. The strategy paid off, and the crowds kept growing. In 2000 he had to cancel a book signing in Iran after the crowd of 5000 fans became too unruly. Coelho realizes this mobile, passionate fan base is unusual for a writer of spiritual fiction. “I am much more like a rock star than a writer,” Coelho told the Financial Times in 2010. 8. THE BOOK’S SUCCESS WAS STAGGERING. If Coelho’s Personal Legend involved selling millions of books, he certainly followed it. The Alchemist spent over 300 weeks on The New York Times Best Seller list. The 1994 French translation was a similar smash that stayed on the country’s bestseller lists for five years. The book gradually spread through the rest of Europe, finding great success in each new market. By 2002 a Portuguese literary journal determined it was the bestselling book in the history of the language. 9. WIDE TRANSLATION HELPED COELHO SET A WORLD RECORD. 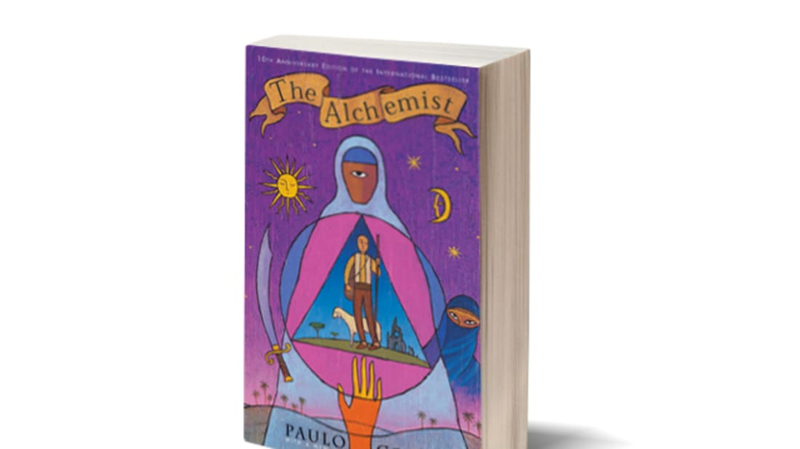 The Alchemist has now sold over 65 million copies and has been translated into a record 80 languages. This wide success helped Coelho set a quirky Guinness record in 2003: “Most translations of a single title signed by the author in 1 sitting.” Coelho signed 53 different translations of The Alchemist at a book fair in Frankfurt, Germany. 10. IT WON FANS IN HIGH PLACES. 11. YOU CAN DOWNLOAD IT FOR FREE. While many writers go to great lengths to protect their copyrights, Coelho takes a very different tack. Since 2000 he has been making his work available online for free download by potential readers. As Coelho explained to writer Bruno Giussani, “Publishers have a tendency to try to protect the content. It's a lost battle." Coelho launched a site called Pirate Coelho that collected pirated digital editions and audiobooks of his novels in a central location for easy downloading. 12. GIVING THE BOOK AWAY WAS A SAVVY BUSINESS MOVE. 13. COELHO FOLLOWS THE OMENS IN HIS WRITING LIFE. The author practices what he preaches when it comes to divining symbolism. Coelho must find a white feather before he starts a new book. Even if it takes a while, Coelho waits until he finds the sign. Once he has the feather in hand, he touches it to each page of the work when he prints out his manuscripts. 14. THE FILM ADAPTATION IS STILL ON ITS OWN JOURNEY. In 2008 Variety reported that mogul Harvey Weinstein was set to personally produce an adaptation directed by Laurence Fishburne, who would also star as the Alchemist. Even Coelho sounded optimistic, releasing a statement that read, “I am very happy that my book will be filmed in the way I intended it to be, and I hope the spirit and simplicity of my work will be preserved." The project still hasn’t come together—perhaps Hollywood should start looking for omens. 15. NOT EVEN COELHO CAN FULLY EXPLAIN THE ALCHEMIST’S APPEAL. Coelho has always been ready to share sage words on most any topic, but in 2011 he admitted to The New York Times’s Julie Bosman that the runaway sales of The Alchemist surprised him. “It’s difficult to explain why. I think you can have 10,000 explanations for failure, but no good explanation for success,” Coelho said.